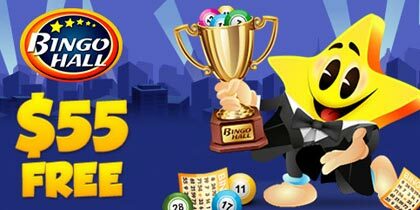 Ukash is the simple way to load your Bingo Account with cash. You do not need a credit or debit card to use Ukash and fund your Bingo account with online. Ukash has been designed for people who want to use the Internet to buy goods and services, and would prefer to use cash instead of a card. It is a payment solution that can be used by customers to spend online without the need for a credit or debit card. This payment system was introduced in the United Kingdom and in other European countries. You can buy bingo vouchers from over 150,000 payment terminals. You can find them at most shops, stores, petrol stations and news stands. When you get your voucher it has a unique 19 digit code so you enter this code to use the voucher for spending online. Ukash also gives you “Change”, which is in the form of a new code. If you want to spend only part of amount of voucher you purchased. It is just like using cash in the real world. There are many online websites that now accept the Ukash as payment. By using it online, you have a very good way to control your spending, as you pay cash for the voucher at one of the many payment terminals available. Once you have spent amount you put on the voucher, you need to purchase another voucher to use it again. Iit is much easier for you to control what you are spending online. Ukash is also a great way to pay online for people who do not a credit card, as it allows you to purchase online. Now many bingo sites accept Ukash as deposit method.